When it comes to drone brands for both hobbyists and professionals alike, there is none that can rival DJI. Being the premium brand of drones comes at a price, though. Quite literally, because DJI drones are some of the most expensive models in the market. 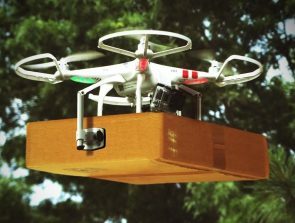 Despite the high cost, many drone enthusiasts still pine over DJI drones, hoping for the day that can get their very own Mavic Pro or Phantom 4 at a huge discount. If you are one of these folks, then we have great news for you. DJI offers several options to get great discounts on their drones. An example is the DJI Educational Discount. What exactly is the DJI Educational Discount and how can you get it? What is the DJI Educational Discount? The DJI Educational discount is a special discount program offered by DJI for students, educators, and other academic research staff. 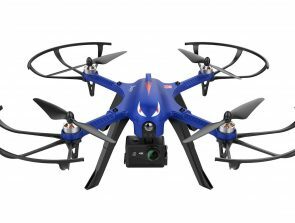 Drones that are eligible under the discount program can be purchased with a 10% discount. This great deal is available for almost all university and college students and many high school students. 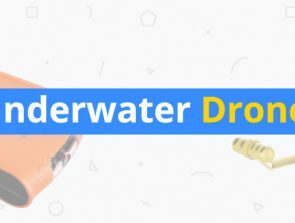 What drones can I get with the DJI Educational Discount? Another great feature of the DJI Educational Discount is the fact that it is also available for a few models in DJI’s series of handheld gimbals. Right now, you can get discounts on the Ronin S, Osmo Mobile 2, and refurbished units of the original Osmo Mobile. How do I sign up for the DJI Educational Discount? All you need to sign up for the DJI Education Discount is an approved academic email address. Just fill out the online form, wait until you receive the verification email, and log in to your DJI account. Your account should then have received two Educational Discount coupon codes. These codes can be applied in the checkout page when you buy an eligible drone from the DJI Online Store. Take note that the Educational Discount coupon codes have a non-extendable 6-month validity and that you can only purchase one eligible product with each coupon code. The coupon code cannot be combined with other discounts and cannot be used with DJI Credits. It is bound to the original email address to which it was awarded and cannot be transferred to other DJI accounts. If you qualify as a student or faculty of an academic institution but do not have a .edu email address, then you can send an email to [email protected] to request for a manual review. You will probably need to provide additional evidence of your association with the academic institution such as a student ID or an ID number. Manual reviews are typically completed in just a few days. You can apply for an Educational Discount once every six months using the same email address. This is no guarantee that your application will be approved more than once, as we imagine that DJI will not want this discount to be used for commercial purposes. 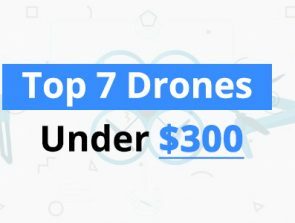 Although DJI drones are well-known for their excellent quality and innovative features, their high prices can be prohibitive for some aspiring drone owners. Fortunately, DJI offers several great deals and discounts for specific circumstances. The DJI Educational Discount for students, teachers, and research personnel from approved academic institutions is just one of many ways to get DJI drones at much lower prices. As of March 21st (Today), it appears that the P4 Pro V2 and Advanced are no longer available under the educational program. I purchased an I2 under the program and thought I saw the P4 products offered previously. The only P4 available seems to be a standard P4 refurbished. If it was a matter of “out-of-stock” that would be noted, but I do not see any such notifications.